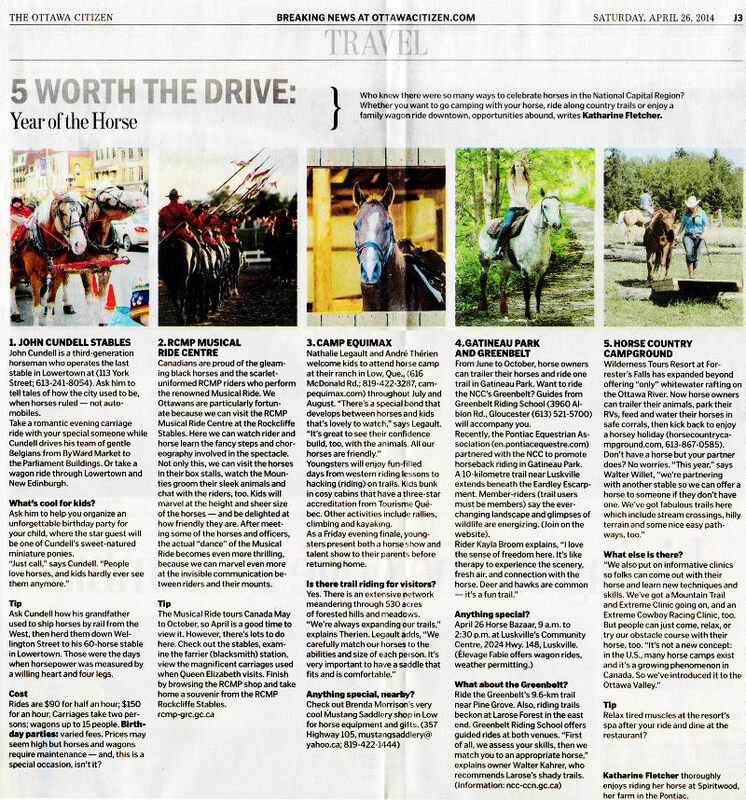 Who knew there were so many ways to celebrate horses in the National Capital Region? Whether you want to go camping with your horse, ride along country trails or enjoy a family wagon ride downtown, opportunities abound. John Cundell is a third-generation horseman who operates the last stable in Lowertown (113 York Street; 613-241-8054). Ask him to tell tales of how the city used to be, when horses – not automobiles – ruled. Take a romantic evening carriage ride with your special someone while Cundell drives his team of gentle Belgians from ByWard Market to the Parliament Buildings. Or, take a wagon ride through Lowertown and New Edinburgh. Read the full story at the Ottawa Citizen online.